Built for your restaurant with your brand. Get your own website within minutes and start taking orders today. Already using Benseron POS systems? Great! We will sync your menu within minutes. With our robust menu builder you can swiftly add to your menu or create specials. No programming knowledge required. Provide the convenience of different order types. ZenPepper supports pick up, delivery, curbside, and or dine-in orders. Expand your business and your customer base. It’s up to you. We offer you the ultimate control. 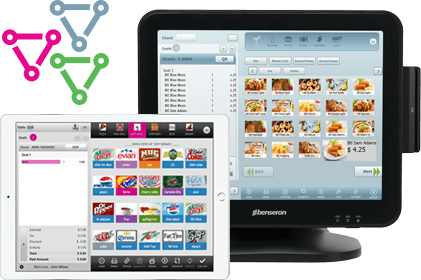 ZenPepper seamlessly integrates with all of Benseron’s Point of Sale systems. Streamline your orders and take your online ordering to the next level. Your customers will thank you and you can thank us later. We like to keep it simple. No complicated pricing. Sign up for a monthly or yearly subscription and you are set. We know how important it is to get your questions answered and your issues resolved promptly. Your time is your money and that’s why we are here for you 24/7.